Roseanne Khawaja is a 17-year-old Jeddah native on a mission to tackle global issues. “As a kid, I used to travel a lot, especially to Africa, so I saw how kids had to work instead of going to school, and how they had to walk miles and miles to bring water when they should have been in class learning new things. That’s when I decided I had to do something.” That something turned out to be her very own non-profit organization, “Us The Youth”. Through her charity, she aims to educate and inspire children from third world circumstances in a bid for them to grow, develop and sustain themselves in the future. The Us The Youth initiative is also working towards achieving the kingdom’s 2030 Vision plan. Khawaja told Arab News about how it inspired her, “In 2016, I started a school project called the Community Board. Influenced by Saudi Vision 2030, the project had a goal to share awareness about pressing global issues and to get my school community involved in solving those issues. The project encouraged students to learn more about topics such as global warming, climate change and poverty. It also emphasized leadership and the role youth play in today’s society. After the success of the project, I decided to further expand it, and that’s when Us The Youth was formed.” The pioneering 17 year old’s personal vision is for her organization to make a lasting and positive change in the world. Roseanne Khawaja and her organization’s objectives include raising awareness, organizing charitable and educational programs around the world to encourage the young people in those countries to support their communities. Khawaja believes that engaging children in third world countries in charity work will give them an understanding of the importance of giving back, early on, “Us The Youth has grown to become not just the effort of one person but everyone who gets involved in contributing with us,” she said. Roseanne Khawaja runs Us The Youth as president, alongside college students, Firas Al-Nasser (vice president), and Musab Al-Majnouni (secretary of the board). 17-year-old company president Roseanne said, “The organization also consists of a board of advisers made up of professionals who advise us in running the organization. 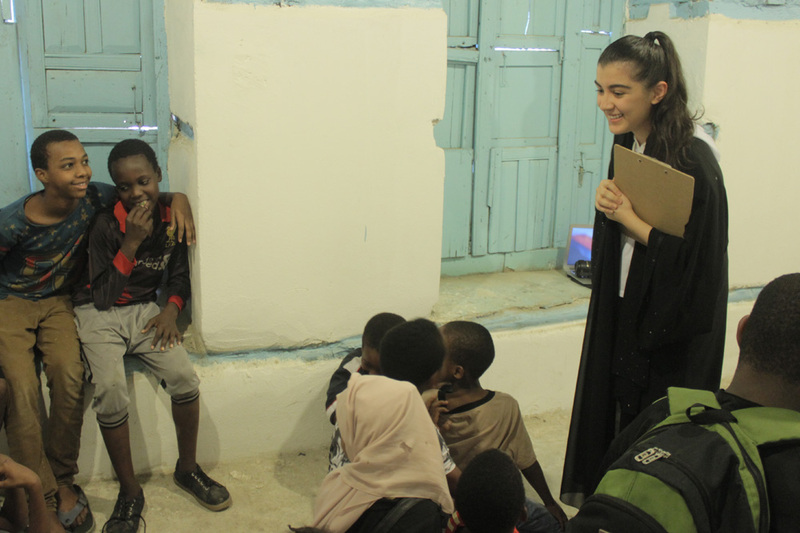 Other members are team leaders who work hard in leading our volunteering activities.” Having established the non-profit organization in Jeddah, herself and her team have their sights set on expanding internationally, presently working on forming teams within Riyadh, the Eastern Province of Saudi Arabia, and the US. 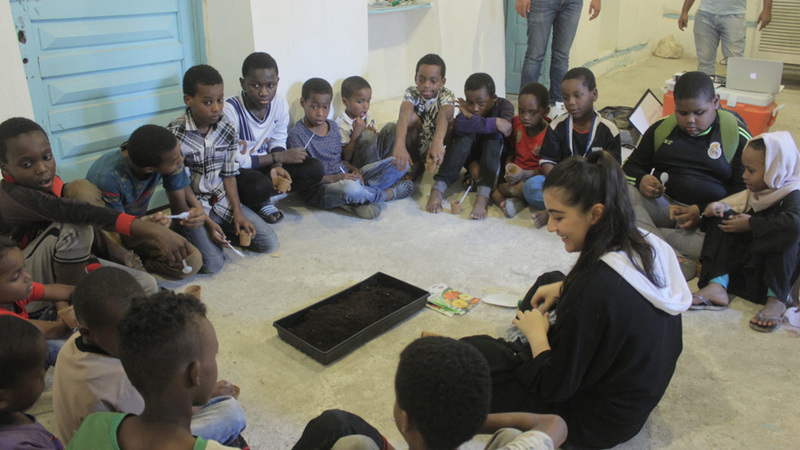 Functioning locally in Saudi Arabia as well as other parts of the Arab region, such as Morocco, Us The Youth hosts talks, workshops and volunteering opportunities for people of all ages. The young trailblazer also spoke about her own personal struggles at school and socially when she was working towards her humanitarian goals, “When the organization started last year I was in my junior year, so I struggled a little bit because I was working all the time balancing school work and the organization. And being a teenager, people didn’t take me seriously at first but I learned how to deal with it and I no longer struggle with it. 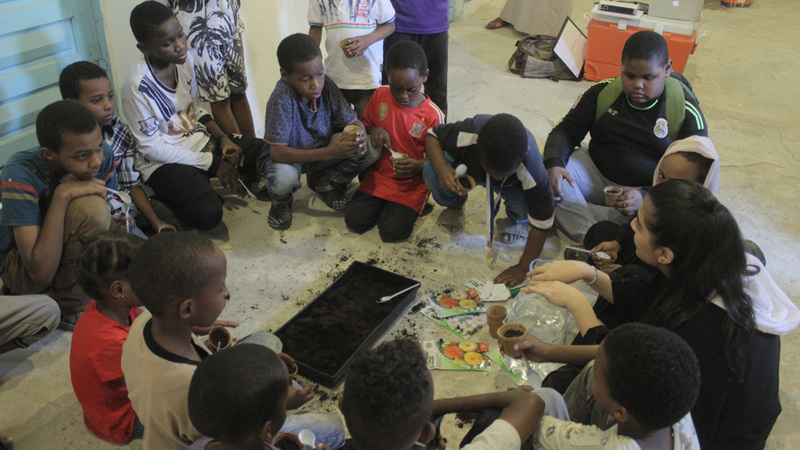 Khawaja’s organization stands by its core values and works on providing educational activities for the less fortunate, “A future project we aim for is to provide curriculums for the unfortunate who don’t attend school. Those curriculums will be taught by Us The Youth volunteers,” she told Arab News.